The stewardship program provides private forest owners with technical and financial assistance to plan and implement long-term stewardship or management goals on their property. 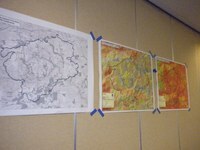 The DNRC contracts Montana State University Extension Forestry to deliver 3 to 4 stewardship planning workshops around the state each year. 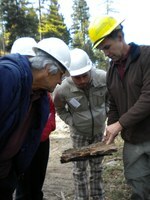 In these workshops, landowners learn how their forest functions, define long-term stewardship goals and objectives, and create a stewardship plan to help guide their activities. The DNRC awards grants for fuels reduction and stewardship programs to partners around the state. These partners – including conservation districts, fire departments, and conservation non-profit groups – work with individual landowners to develop and fund cost-share projects. To find out if there is an active program in your area, contact your service forester or the Stewardship Specialist, Erik Warrington at (406) 542-4303. For more information on the resources provided by the DNRC’s Stewardship Program, please contact the Program Manager, Angela Wells, at (406) 542-4221. The DNRC has recently launched a partnership with the American Forest Foundation to connect forest landowners with resources to help them make their sustainable management goals a reality. Learn more about the Golden Crown Stewardship Initiative and the Kootenai Forests to Rivers Initiative. The Conservation Education Program is part of the Consolidated Payments Grant awarded to the Montana DNRC annually by the US Forest Service State and Private Forestry. The intent of Conservation Education funds is to provide program assistance and outreach efforts to children (pre-K through 12th grade) and their educators in both classroom and informal settings.